Canadian investors who want to gain exposure to the high-flying cannabis sector without having to participate in individual stock picking will soon have the option of turning to a traditional mutual fund. The StoneCastle Cannabis Growth Fund is set to launch on Sept. 14, a month before recreational cannabis is expected to become legal in Canada on Oct. 17. It's believed to be the first Canadian pure-play mutual fund targeting the pot industry, although there were recent launches of actively managed exchange-traded funds with similar mandates. Bruce Campbell, portfolio manager at StoneCastle Investment Management, which will manage the fund alongside partner Spartan Fund Management, said it will include publicly listed North American companies that operate in or get most of their revenue from the cannabis sector. “With the rapidly changing dynamics of the cannabis sector, we feel this is one sector where experience, analysis and active management is required to navigate the fast-changing landscape,” Mr. Campbell said in an announcement about the fund. The fund will launch with 13 securities and will include industry leaders such as Canopy Growth Corp., Aphria Inc. and CannTrust Holding Inc., as well as lesser-known names such as cannabis oil processor Valens GroWorks Corp. and U.S. producer Cannex Capital Group. CIBC World Markets, which has worked with StoneCastle on its other funds in the past, is the fund custodian. Fees will range between about 1 per cent and 2 per cent for investors, depending on which class of the fund they purchase. Class A is the version where the adviser gets paid a 1-per-cent trailing commission and the total fee is 2 per cent a year; Class F is where there are no fees paid to the adviser and total fee is 1 per cent a year; Class D is the discount-/online-broker class where the total fee is 1.25 per cent a year: One per cent is for the management fee and 0.25 per cent for the online broker as a trailing commission. The StoneCastle cannabis fund comes after the launch of a handful of cannabis-focused ETFs in recent months, some of which are also described as actively managed. The Horizons Marijuana Life Sciences ETF (HMMJ) was the first exchange-traded fund to track the industry. Later came the Horizons Emerging Marijuana Growers Index (HMJR), which focuses on small-cap companies in the sector. Some others include the Purpose Marijuana Opportunities Fund (MJJ), the Evolve Marijuana ETC (SEED) and the ETFMG Alternative Harvest ETF (MJ), with fees ranging between 0.75 per cent and 0.85 per cent. Mr. Campbell said the portfolio for his fund will evolve and go beyond cannabis cultivation to include real estate, finance, retail, delivery and testing systems and software, and will be diversified beyond Canada. The Globe recently spoke with Mr. Campbell about the new fund and how it fits into the promising, yet volatile cannabis sector. Many portfolio managers are steering clear of the cannabis sector. Why are you going deeper? From a valuation standpoint, it can be hard to be comfortable with [the sector], especially if you haven’t done the work we’ve done. We’ve had a lot of cannabis exposure in existing funds. We are big believers this will be a global wave over the next 10 to 15 years. How will you choose which companies to include in the fund? We chose Canadian companies we think will be global leaders, which clearly we see with Canopy given its deal with Constellation Brands. There are other Canadian companies such as Aphria, CannTrust and OrganiGram that we also believe are going to be global leaders. In the U.S., [cannabis company] valuations are considerably cheaper than in Canada, which makes sense because it’s still federally illegal in the U.S. We also plan to have an international component as those markets open up. Over all, we look for companies that have some sort of distinction in the market. 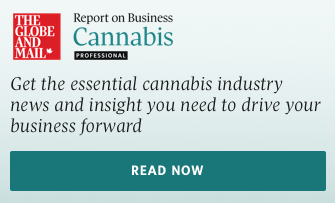 For example, Canopy is huge internationally; CannTrust has a big medical focus; OrganiGram dominates the East Coast; Hexo (the old Hydropothecary) is cheaper from a valuation standpoint and has the largest government contract in Quebec; Aphria has a strong pedigree in management and is going into extracts; Valens are extractors for hire; and Village Farms is good at growing given its history with vegetables. On the U.S. side, we look at what’s there from a multistate operator. For instance, Green Thumb Industries operates in eight states and continues to expand; Friday Night operates in Nevada, but they have deals in California and Colorado; Cannex Capital is in Washington and California; Charlotte's Web is on the CBD [cannibidiol] side of the business focused more as a nutraceutical player. In the U.S., we are making sure we are investing in companies operating in legal jurisdictions that are regulated by state regulations. If you look at the risk section of the prospectus, it warns that something could potentially go negative [given that it’s still illegal under federal laws in the U.S.]. We will actively manage the portfolio, which we see as a big advantage over ETFs. We talk about this being the sixth up-wave of investing in the sector since we’ve been there. It has been up and down. We won’t be fully invested at times. If we get to the top of the peak and think things will roll down, we will raise significant amounts of cash and redeploy it. We think that [volatility] will continue because you still don’t have full institutional ownership so we're still in the process of price discovery here. How is your active style different from ETFs with the same claim? We will raise substantial amounts of cash when the market or the sector or both are declining. We will be fully invested once things turn. We talk about being on offence and defence with our other funds. We have tools so we know at any time if we are on offence or defence. It will continue to be important in this sector. We will also have access to companies going public. This is important as many ETFs have select lists of companies they can invest in. New IPOs don't get added for a quarter or two. Just look at what Tilray has done and you can see why that would be important from a performance perspective. What type of investor are you targeting? These are geared to growth investors looking for some exposure to the sector. If you’re an income or low-risk investor, this doesn’t make sense. It’s a volatile, emerging sector. A personal question: Have you ever used cannabis? I have never tried the plant, not even in high school. I know that might sound hard to believe. I also don’t drink very much. That said, once cannabis is federally legal I may give it a try, on a weekend.